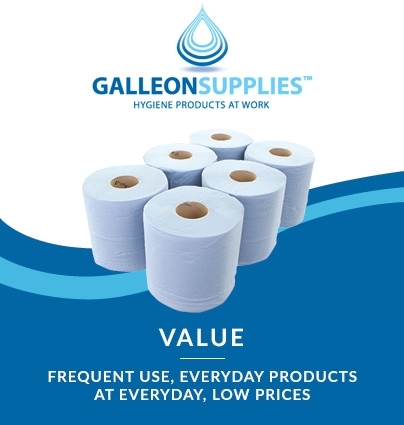 Environmentally conscious recycled paper blue centrefeed rolls from Galleon Supplies are a superb way to keep your workshop, studio, surgery, salon, kitchen, office or company washroom free from spills, oils and dirt. 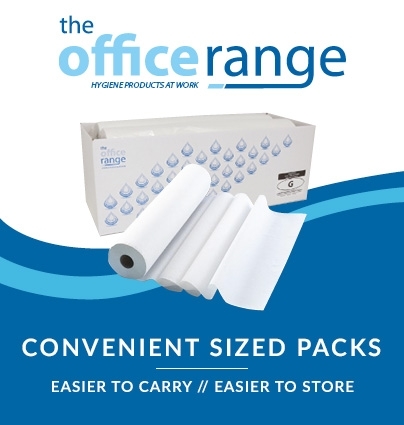 The cardboard spiral cores remove effortlessly for inserting these centrefeed rolls to one of our wall-mounted dispenser systems, but they’re just as easy to use as a freestanding towel roll thanks to the easy-tear perforations on every generous sheet. 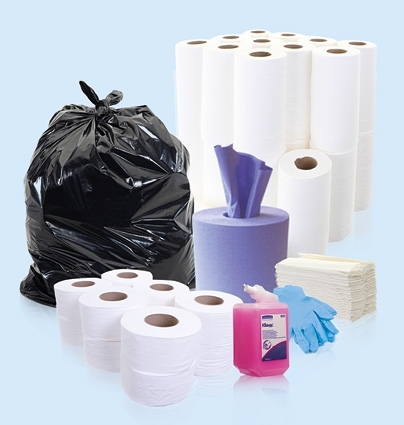 This keeps wastage to a minimum, while making them a quick and efficient solution for any professional clean-up or wipe-down. 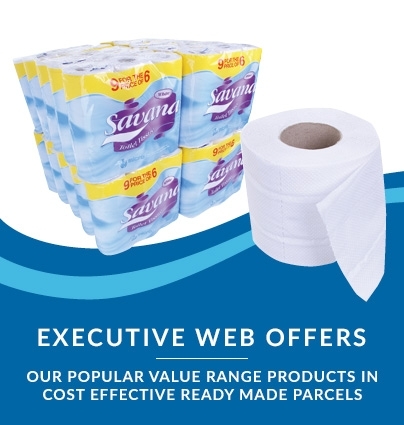 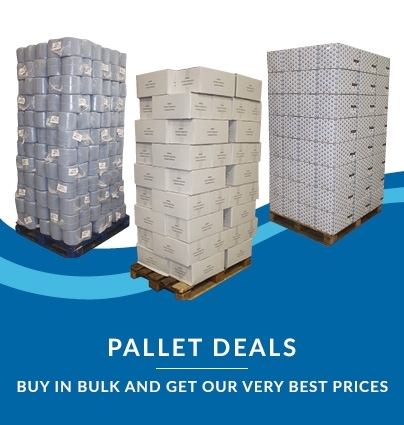 Premium 3-ply tissue is soft, strong and hugely absorbent, making these rolls the perfect option for tougher jobs or work environments requiring more exacting standards of cleanliness and hygiene.